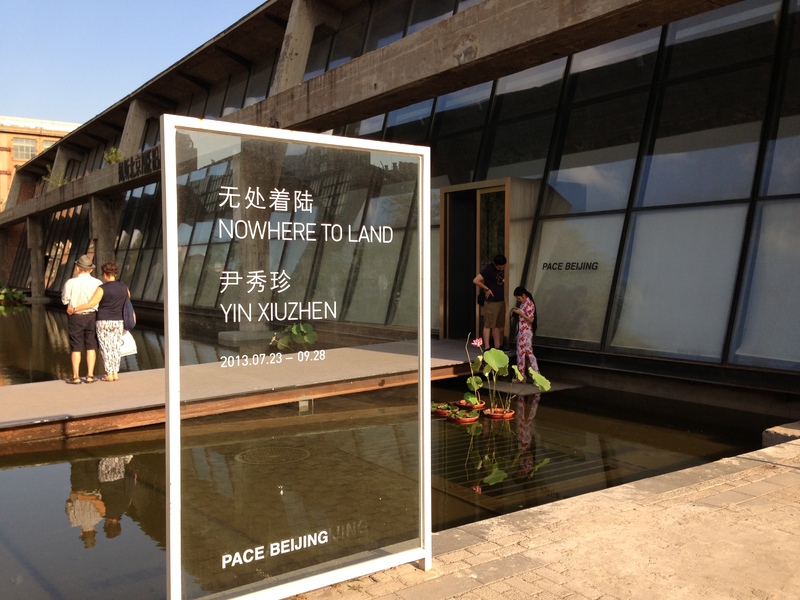 It’s a microcosm of how rapid consumer-driven development has taken root in modern China: 798 Art District, once an esoteric artists’ enclave on the fringes of the city, has emerged as a prime tourist destination in Beijing, replete with international galleries. Fashioned from a former military factory complex from the Mao era, industrial Bauhaus-inspired spaces serve as stark galleries for an array of contemporary Chinese artists. 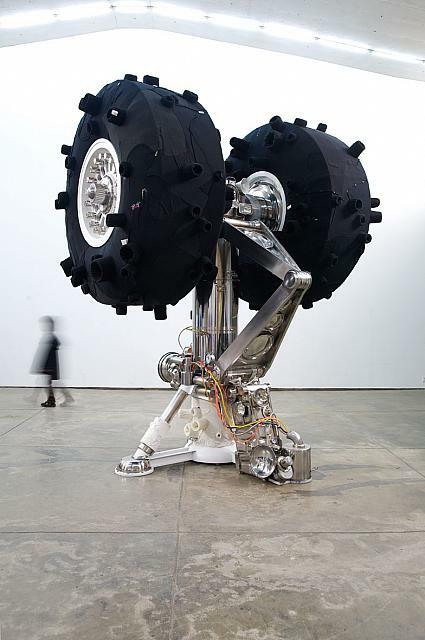 Among these, the name of Pace Gallery may ring a familiar bell – earlier this summer, their sister gallery in NYC made a splash when Jay-Z rapped for six hours as part of a performance art piece. In slightly more subdued fashion – but no less telling for the times – the irregular arches of Pace Gallery Beijing make a striking backdrop for Chinese artist Yin Xiuzhen’s current exhibition. In evoking the human aspects of globalization, Nowhere to Land is especially timely in the dynamic Chinese context, and Yin’s work gives a compelling account of what the view from inside the seismic changes of the country might look like. Yin (b. 1963), a true Beijing native, presumably bears the perfect vantage point from which to witness the massive Chinese economic transformation. Since graduating from Capital Normal University in Beijing in 1989 with a B.A. in oil painting, the artist’s work has been featured internationally. Recent exhibitions include solo showings at the Groninger Museum in the Netherlands (2012) and New York’s MoMA (2010), as well as a smattering of group exhibitions in cities across the world, including Moscow, Shanghai, Venice, Sydney, Sao Paolo and San Francisco. Yin’s work is all about the art of looking and deciphering. Incorporating homely, intimate and personal items into larger constructions, she emphasizes the superficial qualities of what seem at first impression to be straightforward sculptures. And in doing so, she problematizes the underlying assumptions behind glossy Chinese narratives of progress and globalization. Yin Xiuzhen. Nowhere to Land. 2012. Mixed media. A California native, Lucy is currently exploring life in Bangkok, Thailand. She is a graduate of University of San Francisco's MAIS program and holds a BA in Art History from Reed College. All opinions expressed here are solely her own.